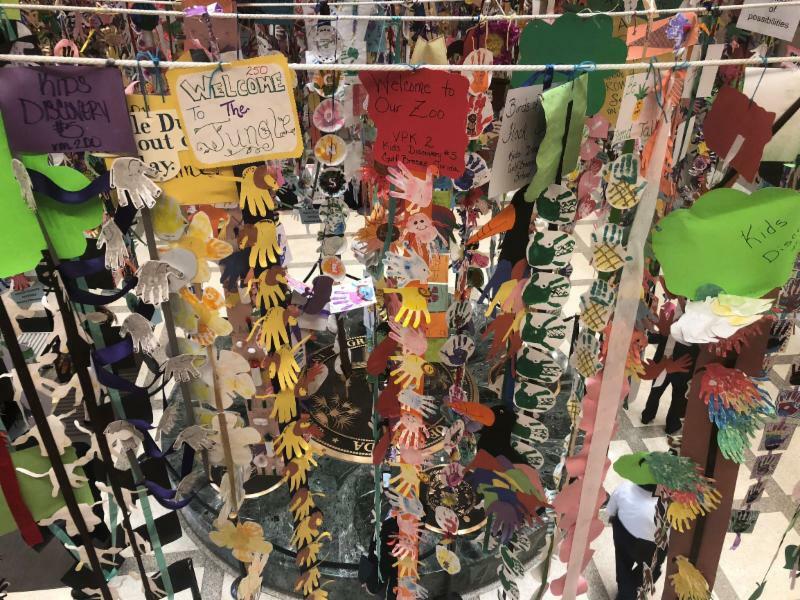 The "Hanging of the Hands" in the Capitol Rotunda on Sunday, March 24th signaled the official start of the 2019 Children's Week. The hands serve as a visual representation of the vast number of children that legislators and other decision makers affect. 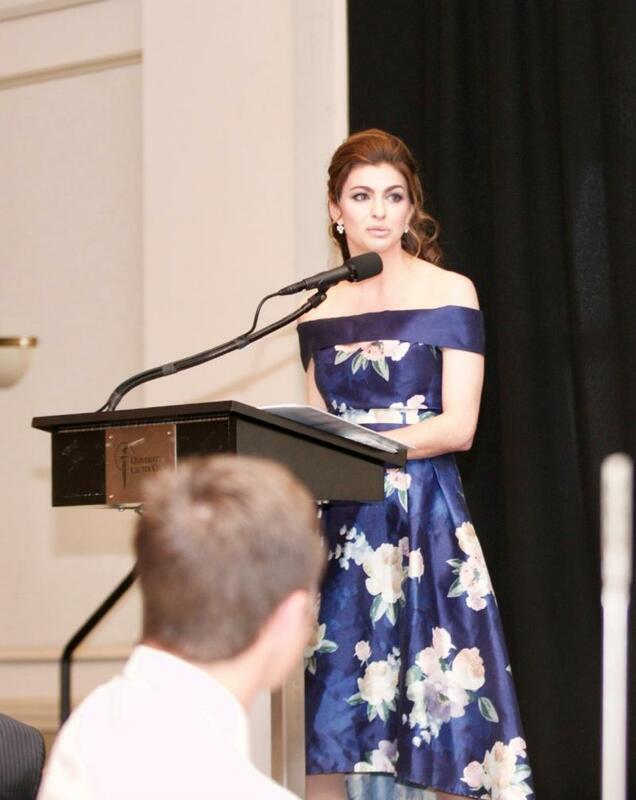 Monday's Awards Dinner was full of inspirational speakers and special guests including First Lady Casey DeSantis. DeSantis and others thanked the room of advocates for their tireless work on behalf of children across the state and underscored the importance of supporting Florida's most valuable asset, our children. 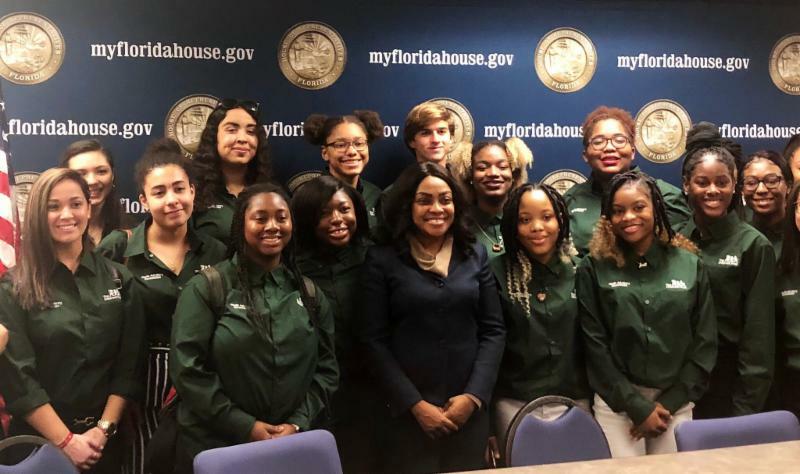 The Capitol was bustling all week with children and youth leadership groups who had the opportunity to meet with legislators and see our legislative process in action. Congratulations to the United Way of Florida and everyone who played a role in putting on yet another successful Children's Week! This bill provides central abuse hotline requirements for the Department of Children and Families, reporting requirements of citizens, use of information reported by the department and training of animal control officers on how to detect child abuse, abandonment and neglect. These similar bills create new requirements for DCF placing a child in shelter care, addresses administration of psychotropic medications, termination of guardian assistance benefits in some instances and requirements for young adults in foster care. This proposed legislation creates a bill of rights for foster parents and requires the Department of Children and Families to provide for mediation with foster parents and adopt rules to implement the bill of rights. These similar bills provide for a subsidy up to $300 for foster parents who are required to enroll a child in a child care program when the program cost exceeds the subsidy provided by the early learning coalition. These identical bills require the Office of Early Learning to establish both formal and informal pathways for early learning teachers in the school readiness program to ensure access to specialized professional development. These identical bills prohibit public school employees from using corporal punishment on a public school student and removes corporal punishment as an option to manage student behavior. These identical bills increase the age of children who must be secured in a crash-tested, federally approved child-restraint device from 5 to 6 years old and increases the age of children for whom a separate carrier, integrated child seat or booster seat may be used. These similar bills revise provisions relating to the Immunization Registry by allowing a college or university student age 19-24 the right to refuse to be included in the immunization registry and requires health care practitioners to report vaccination data to the immunization registry for children birth to 18 unless a guardian refused to have the child included in the registry by meeting certain requirements. These similar bills increase the minimum age to lawfully possess tobacco products, including electronic smoking devices, from 18 to 21 years of age. The bills also decriminalizes the penalty for any person who sells, delivers, or gives tobacco products to a person under age 21 and requires a fine instead of criminal penalties. Build upon the school safety and security foundation established in SB 7026 (2018) by addressing the school safety and security recommendations of the Marjory Stoneman Douglas High School Public Safety Commission, and strengthening accountability and compliance oversight authority. These similar bills, related to students with disabilities, define associated terms, requirements for use of physical restraint, exclusionary and nonexclusionary time, training procedures, monitoring and reporting requirements of staff.